This collection of two practices composed by Lama Zopa Rinpoche, “Armor Protection Wheel,” and “Black Manjushri,” are intended to remove obstacles and offer protection from harm. 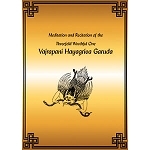 Both practices contained in this book require a highest yoga tantra initiation and the appropriate jenang for the practice, i.e. 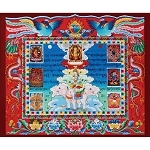 Vajrapani and/or Black Manjushri.